Notes: Found deep within the Newlands Valley the parking spaces at Rigg Beck appear to what is left of a quarry excavation with room for around half a dozen well parked cars. 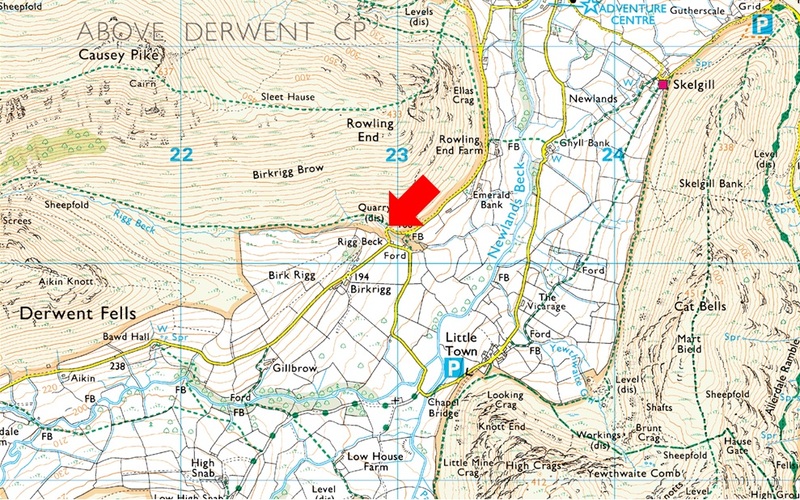 The spaces can be found on the right prior to crossing Rigg Beck at a left hand hair pin in the road. Rigg Beck is perfectly positioned for a stroll onto Ard Crags and Knott Rigg. Parking is free.